Veterans Peak is a quiet out-of-the-way summit southwest of Sturgis. The hike to the summit is a little less than a mile with about 330 feet of elevation gain. 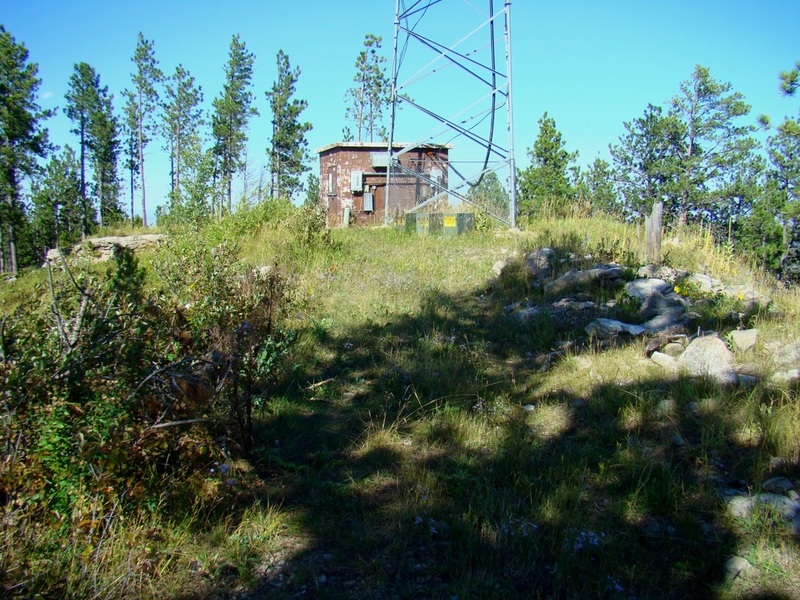 Long ago, there was a fire lookout tower at the summit. Now there are a few radio communication towers there. 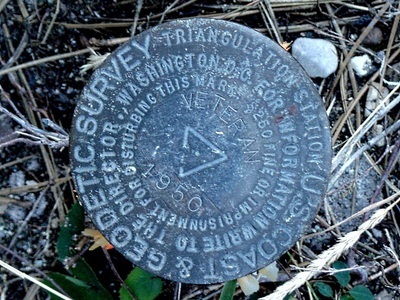 This accounts for why the old unpaved road to the summit has been kept in decent condition. 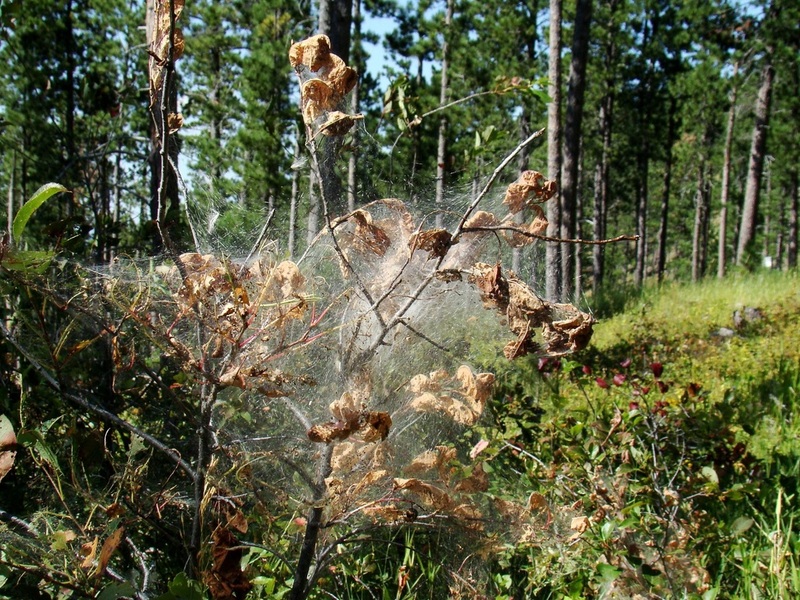 While this hike would be easy for some, it might still prove a challenge for senior citizens. 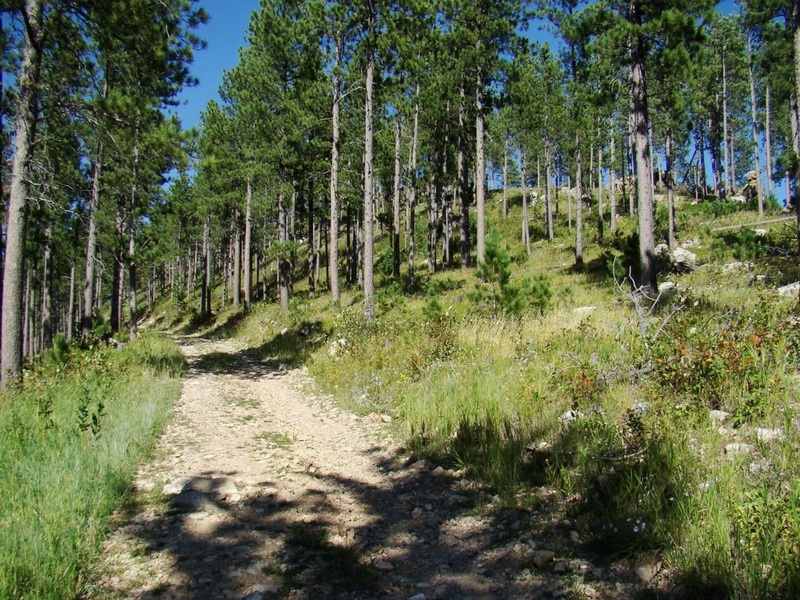 Because of so many other hiking options elsewhere in the Black Hills, there is a fair chance you might have the mountain all to yourself when you hike there. 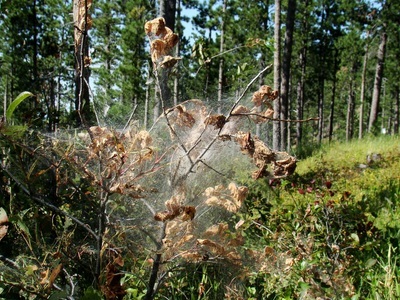 However, there is always a chance of encountering an ATV, horseback riders, geocachers, a utility truck or other hikers. The road to the summit is mostly shady and quiet, normally offering some time of peaceful solitude. 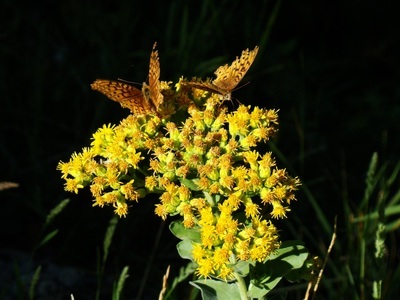 The summit is located in Vanocker Canyon, about 6 miles southwest of Sturgis. The road to the summit runs generally in a northeasterly direction. The view at the top is limited in some directions, due to tree growth encroaching on what was once a more open summit area. However, one can still see major peaks in the distance, including Black Elk Peak, Terry Peak, Custer Peak and a few others. 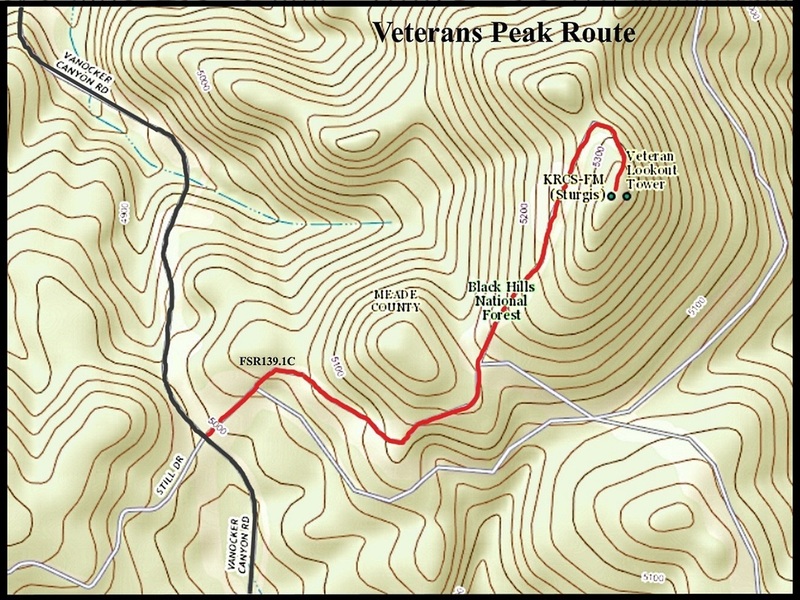 Veterans Peak is also near the trailhead to the very scenic Elk Creek Canyon. 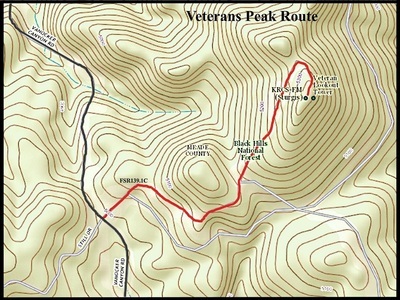 The shortest and best route to travel to Veterans Peak is by way of Vanocker Canyon Road. From Sturgis travel southwest 5.5 miles from Interstate 90, on Vanocker Canyon Road, to FSR139. As soon as you turn on to FSR139, there will be a branch in the road. The road on the left is FSR139.1C, which is your route to the summit. There is no parking lot at the junction of FSR139 and Vanocker Canyon Road, so you will have to park off the road wherever your vehicle will not be hit if another vehicle comes by. The grade to the summit is fairly steady, and though rocky it is smooth enough all 4WD vehicles could easily make it up there. A map is posted below with all the photos.